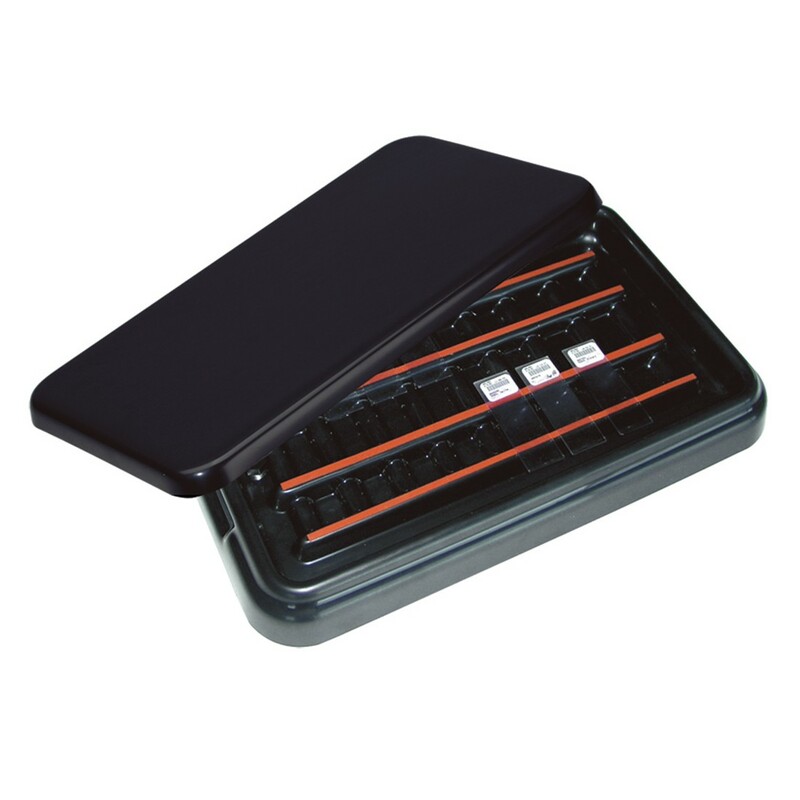 Black base made of tough ABS plastic withstanding a wide range of chemicals. Accepts up to 20 slides on four plastic rails covered with a polymer strip to secure slides even if tray is held at an angle. When humidity is needed, wells between rails will hold up to 1 ml of water securely while the middle wells will hold up to 2 ml each. A user friendly approach to immunohistochemistry staining. This tray is also suitable not only for routine staining requiring a humid chamber, but also ideal for Hematology, Cytology and Microbiology laboratories. Clear lid available for Slide Staining System. Catalog #25503.Clear lid will allow for visual examination. Made of PETG with a temperature range of -20° C to 60° C.